Since my last post about getting the construction certificate we hit a bit of a lull in the reno. 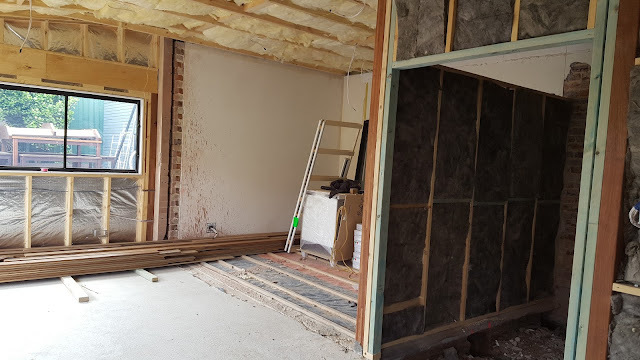 We had gotten out ahead and had about three months to wait until the build actually started. It has started - 6 weeks ago to be exact.....and BANG! We are neck deep in the renovation. We packed up the house in one weekend and on the Sunday evening hit the road to a unit around the corner, where we would be calling home for the next 11 weeks. The following Wednesday the builders moved in and starting demolition. 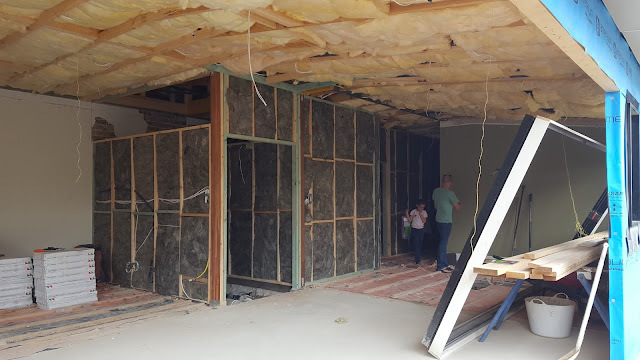 Since then they have cut slabs, laid slabs, framed up, put the roof on, roughed in the plumbing and electrical, laid storm water bits and bobs and a whole bunch of other stuff I don't understand. The noise cancelling black insulation! Sadly, it hasn't all been smooth sailing. The first kink came in the form of our light-well. 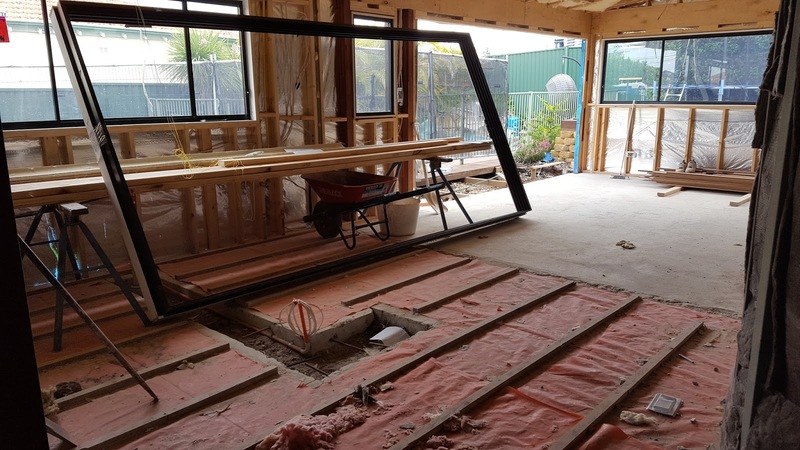 The Engineer thought the floor was bearers and joists- it wasn't, it is a concrete slab. Discussion ensued about glass roofing, skylights or underpinning the slab to get the light-well we wanted. We decided to underpin the slab. The second kink came when the kitchen suppliers told me that they couldn't install until February next year - UNACCEPTABLE! Super Dave (our builder) to the rescue and he got his kitchen guy, Mighty Jo, to quote and also fit in with our timeline. No brainer, we went with Jo. Serious crisis averted. The third kink came in the form of the air conditioning. The guy who was meant to move pipes and re-wire did a no-show, so the gyprockers turned around and left. Super Dave to the rescue again, he got his air con guy to come and do it so the walls and ceiling could be sheeted - even though it was day late. And that is where we are at.....and just to let you know RENOVATING IS STRESSFUL.